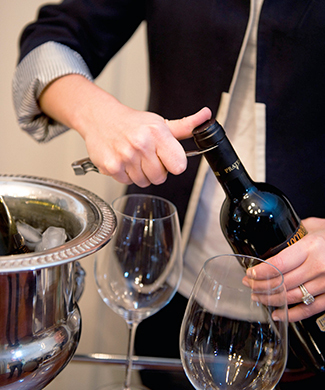 Bon Vivant DC offers custom tailored wine tastings and events. Whether you need help selecting or pairing wines for a fundraiser or wedding, want to throw a birthday or anniversary wine tasting party, corporate team building event, or just want to learn more about wine, Bon Vivant DC can customize an event to meet your specific needs. I have spent time personally visiting vineyards and wineries, meeting with owners and winemakers to find the very best of what Virginia’s wine country has to offer. Whether you’re looking for scenery, world class wines, group tours, behind the scenes experiences, wine pairing dinners, bachelorette excursions, or an intimate and serene escape from hectic city life, I can arrange a custom outing sure to fit your needs and expectations. I offer my clients highly tailored wine concierge services, custom designed for each client to show you the very best of Virginia Wine Country. Bon Vivant DC also offers consulting services with restaurateurs to create a customized beverage program to complement tailored budgets, cuisines, and target clientele criteria. Please email alison@bonvivantdc.com for information regarding pricing for your next event.